For 125 years and over 8,000 weddings, The Pfister Hotel® has created and maintained a strong tradition of elegance and personal service for Milwaukee's most discerning couples. 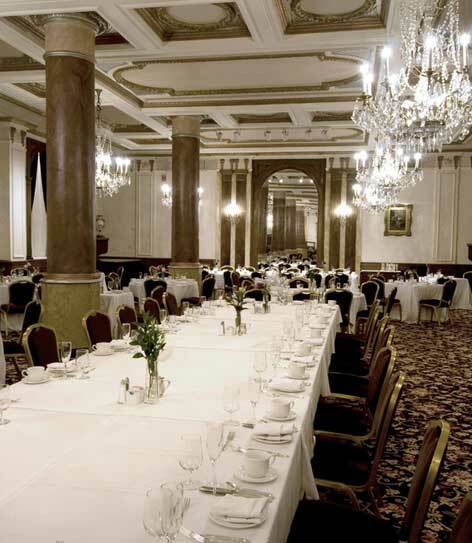 The Pfister’s spacious and elegant Milwaukee hotel ballrooms can accommodate guest lists both large and small, making it the most versatile downtown Milwaukee wedding venue. Our greeting, Salve, promises guests a level of gracious service unmatched by other Milwaukee hotels, and we’re proud to build on the foundation of this promise with each wedding we host. 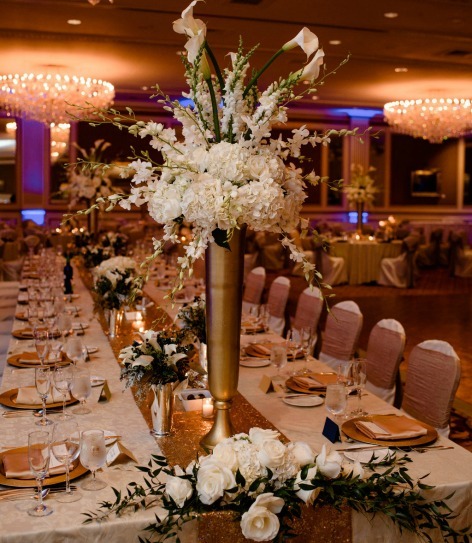 Located on the seventh floor, the Grand Ballroom is very versatile and can be set to your specifications, whether your event demands an expansive gathering space with a dance floor or a divided space for a more intimate celebration. Enter by way of a set of stately doors to find Parisian-inspired crystal chandeliers that cast a welcoming glow on the Victorian art collection surrounding the crisp, flexible space. This Victorian-designed ballroom with an impressive 32-foot-high ceiling lends an aura of grace reminiscent of days past. 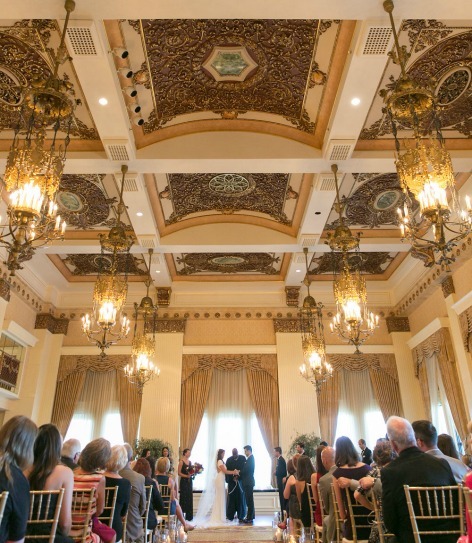 Located seven stories up, the Imperial Ballroom commands unmatched panoramic views of the city and the enchanting balcony provides a storybook backdrop to toss your wedding bouquet. This classic ballroom was designed with European styles in mind and speaks to the elegant flavor of The Pfister Hotel. The crystal chandeliers and marble accents combined with high ceilings and traditional design elements create the perfect timeless setting for your wedding reception. "Our wedding exceed our expectations and we could not be happier with our choice of the Pfister for both the ceremony and reception! The room was beautiful and the food was outstanding! We had guest after guest raving about the food. Please extend our thanks and compliments to the Chef. I would recommend the Pfister to anyone wanting to plan an elegant and expertly executed event."